Nonprofit Workers in San Francisco: The Forgotten Sector? How are nonprofit employees living in the one of the most expensive cities in the country faring economically? Not very well, reports Randy Shaw, executive director of Tenderloin Housing Clinic in San Francisco. He writes, “After three years of frozen wages and rising health care costs, the city’s nonprofit sector is at its breaking point, with its many already lower-paid workers bearing the brunt of the city’s prior fiscal crisis.” Employees of nonprofit organizations providing services to the City of San Francisco were scheduled to voice their concerns yesterday to the budget committee of the city’s board of supervisors in hopes of creating greater awareness about the city’s nonprofit workers, many of which are on the front lines of the city’s most innovative and important initiatives. 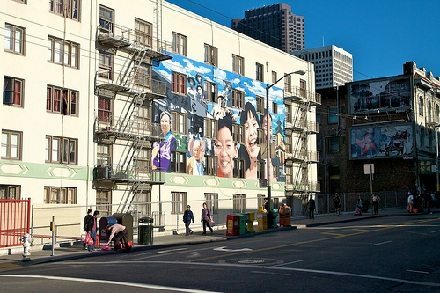 The issues the nonprofit employees are raising—including the chronic under-compensation of nonprofit employees, despite their contributions to addressing issues such as homelessness and community health—are not unique to San Francisco. However, in San Francisco specifically, the high cost of living is driving nonprofit employees out of the city. Shaw reports that this is especially hard to stomach when city administrators enjoy “six-figure salaries” and much greater job security than the average nonprofit employee. Another key point in the debate relates to the city’s stated concern about the retention of families, blue-collar workers and African Americans. While the city has taken steps to address affordable housing and local hiring practices to retain these populations, thus far no outreach has been directed toward the nonprofit sector. Shaw argues that this is shortsighted. Shaw’s Tenderloin Housing Clinic employs a staff of 142; many of his employees have children and 44 percent are African American.